Wedding & Party Favor Headquarters | J.O. 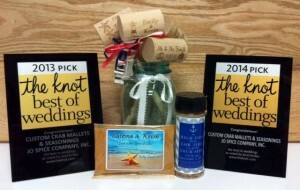 Spice Company Inc.
We are the wedding and party favor headquarters! We are the knot’s “Best of Favors” Winners for 2013 and 2014 for a great reason – We LOVE to take the stress out of party planning! We have been in the crab business since 1945 so we KNOW all about crab mallets, customizing your mallet with your unique, individual style and customizing spice packets! It’s a natural progression to branch out into more favor ideas ~ glassware, frames, cutting boards and knives that can be personalized with your individuality. What makes us the wedding and party favor headquarters? We are so much MORE THAN SPICE and crab mallets! We have “He asked…she said yes!” signs. We have Bride, Groom, Just Married, Just Hitched signage perfect for bridal showers and wedding decor. There’s Mr. Right/Mrs. ALWAYS Right mug sets (who doesn’t need a few of those for gifts?) . We have Trista Sutter’s, from “The Bachelorette”, Grateful Heart Jewelry & Frame Collection. 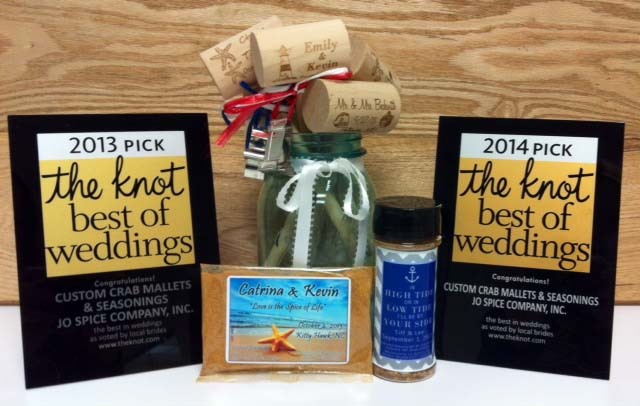 We have the crab netting, the nautical & beach decorations, the table setting signs, the frames, the glassware, the jewelry and the craft bags with over 48 color choices of ribbon and raffia. We Fit Any and All Budgets! 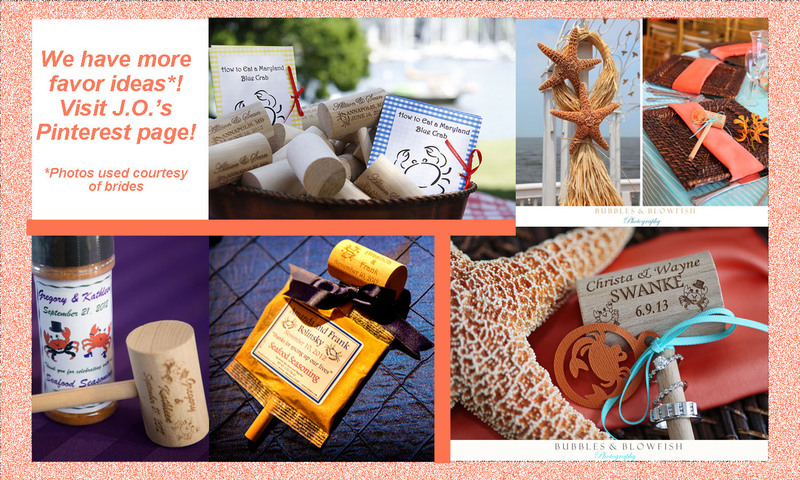 We are experts in creating memorable mallet favors and we have a variety of pre-printed sayings perfect for the corporate event, crab feast, anniversary party, and rehearsal dinner. But since we are the wedding & party headquarters, we do so much more! We have gift tins, buckets in all shapes & sizes, and bushel baskets ready to be filled per your budgeted amount. If you only have $10 to spend, we are expertly creative in putting together a gift that is guaranteed to bring a smile. We can decorate any type of party, we can create any type of gift basket, and we can customize, personalize and individualize your unique & memorable gift! We love to spice up your parties with great favors. We love to bring a smile and create a lifetime of memories with gifts and many spectacular wrapping ideas! How can we help you spice up your party? 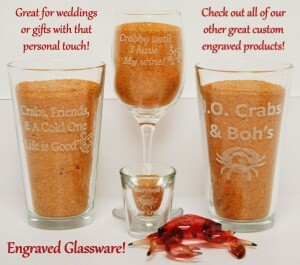 We are your unique wedding & party favor headquarters ~ at your service! Just call~ we are experts on a moment’s notice too! 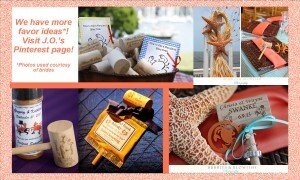 This entry was posted in Decorating!, Wedding favors!. Bookmark the permalink. ← Seasoning For All – What’s Your Favorite?